Are you on track for success? Or are you clueless about your financial situation right now? Don’t worry. I’ll show you how to take control of your finances using some of my favorite financial tools. 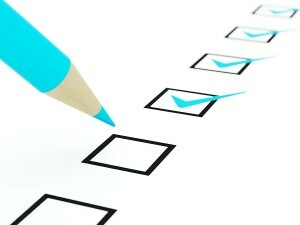 Answer the following checklist questions to see if your finances are healthy. If you answer “no” or “I’m not sure” to any of them, you simply need to start watching some key personal finance metrics using the simple tools that I recommend in each section. Personal Finance Question #1: Do you understand your household’s cash flow? Cash flow is the foundation of your personal finances. If you’re not sure how your spending stacks up against your income, you can easily get into trouble. Overspending happens for many reasons, like not earning as much as you used to or being a shopaholic. But I’ve found that most people overspend because they just don’t have a handle on the big picture of their finances. If you’re like most people, tracking and categorizing your spending can be a real eye-opener. All of a sudden, you find out exactly where your money goes. You identify bad spending habits and realize that you do have enough to save and invest for a better financial future! There are several ways to track your cash flow, but my favorite is a simple Budget Planner Excel spreadsheet. With a spreadsheet, you don’t have to set up or learn any software—and your personal information stays on your computer. Spreadsheets make it easy to compare your actual income and expenses against your ideal budget or spending plan. Personal Finance Question #2: Do you know your net worth? 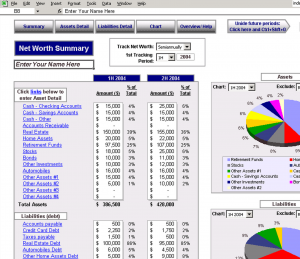 Since your assets and liabilities change over time, your net worth is a snapshot of your current financial situation. Seeing how your net worth changes from year to year helps you know if your finances are getting stronger or if you need to put them on life support! Calculating your net worth once or twice a year should be your “reality check”—something like stepping on the scale if you’re watching your weight. Just fill in the blanks on a Net Worth Excel spreadsheet and it will instantly calculate your number so you can track it over time. Personal Finance Question #3: Do you know if you’re saving enough for retirement? The granddaddy of all financial goals is saving enough to have a happy and safe retirement. But it can be difficult to know if you’re saving enough because there are so many variables. Using a retirement calculator is the easiest way to crunch all the numbers and get a realistic forecast.